After another week submerged in Soundcloud’s darkest depths, Getintothis’ Patrick Clarke is back yet again with his favourite new tunes of the week. Every time we return to the seemingly endless fertility of the Swedish scene, we feel a little obliged to mention the fact that such an indeterminate proportion of our Unknown Pleasures are of its breeding. So yeah, we’re back in Sweden. 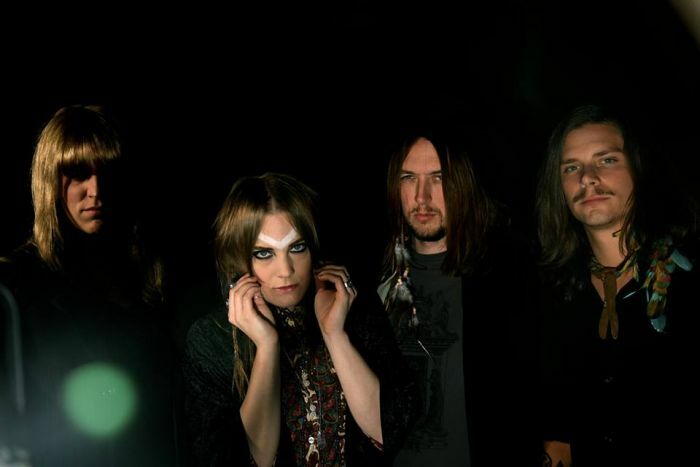 Stockholm to be precise, where psych-rockers The Presolar Sands have just unveiled the video for new single Voodoo Ritual – a battering ram of sludgy, Stooges-hinting walls of distortion. It’s also the first release on newly-formed label Lazy Octopus, the 7″ pressing available this May, and as suitable a start as could be conceived. A longstanding presence among the Stockholm scene, they’ve perhaps more in common with the upfront, assaulting psych stylistics of the likes of our very own Vryll Society than the more haywire likes of their compatriots Goat‘s strain of the genre, but they’re absorbing in their own right, the video boasting the visual attack to match. The hazy Lou E. of London-based label Beech Coma, meanwhile, is something equally fascinating in his own right, unveiling extraordinary new outing Just One Thing on the label’s compilation Vol. 3 at the age of just 18. Somewhere between Kurt Vile and Mac DeMarco in tone, it’s a sprawling effort of deft sparks of guitar and drifting vocals, the musician betraying his age with quite tremendous prowess. So extraordinarily impressive is the artist – Louis Milburn to his mum – that can it feel a little reductive to put him on that patronising pedestal of apparently prodigious youth, the artist also turning heads alongside full band King TV. Knwxledge of the legendary Stones Throw Records is perhaps an established name to those in the know for years of virtuoso production work – the likes of Kendrick Lamar among his recent credits – but with his upcoming debut album proper it seems as if a long-overdue propulsion to wider attention’s on the cards. Jstowee, the first clip of the animated instrumental hip-hop that constitutes the full length LP Hud Dreams, has drawn immediate comparisons to the much-loved late J Dilla, and though perhaps a little reductive that’s no bad thing. Yet there’s still ounces of idiosyncracy on the short clip, from the whips of snare to the twisted soul samples that lend life to an already-vivacious beat ever-poised to flip seamlessly in tone.